Welcome to a quick and simple version of Scrappy Saturday. Thanksgiving is just in a couple of weeks!! It’s really hard to believe, I know. 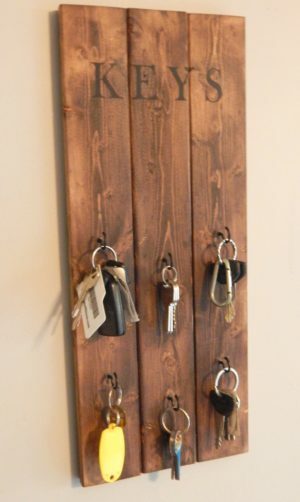 With that in mind, I was going for something quick, inexpensive, and actually handy with holiday company coming over. 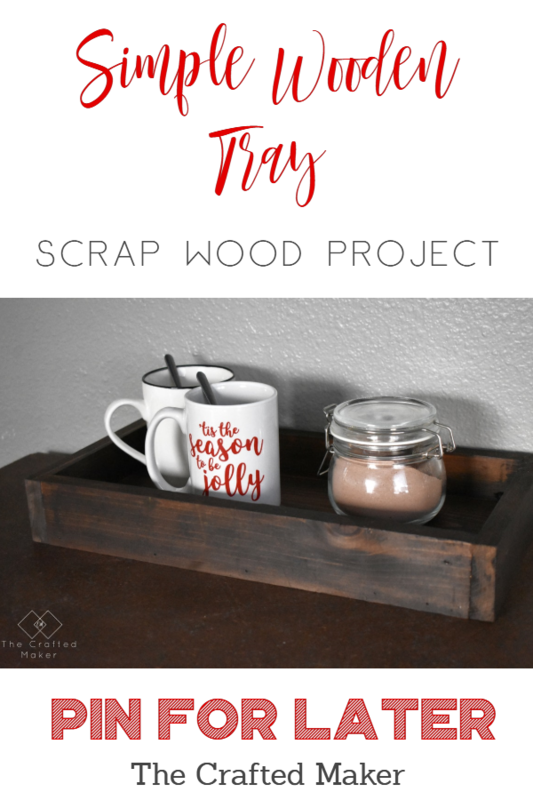 So, today I’m sharing a project that has been made probably thousands of times but is always a good thing to have around. 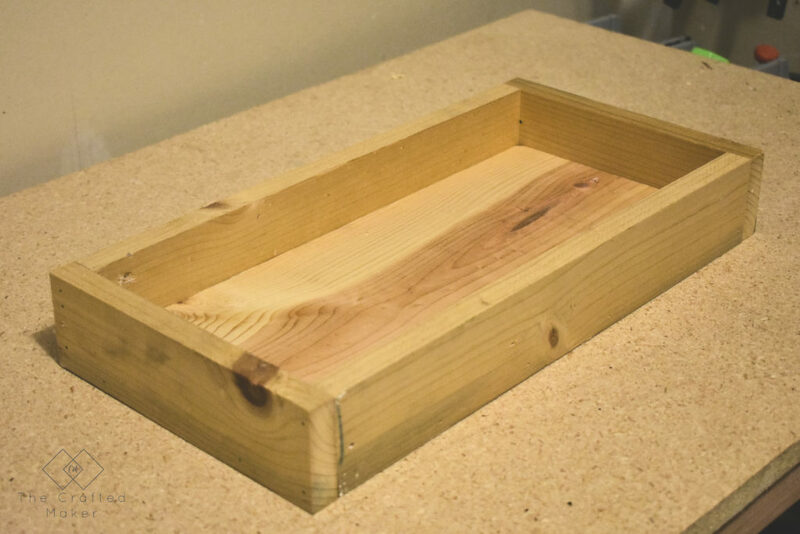 A simple wooden tray. 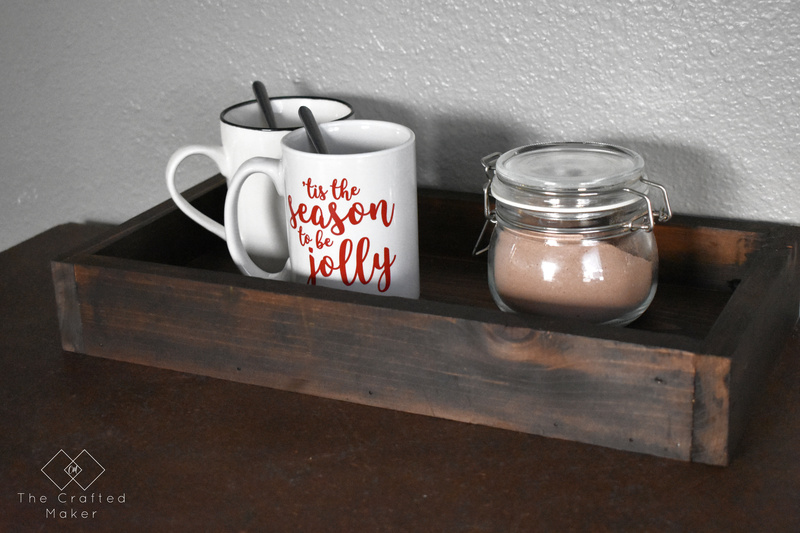 This can be used a serving tray, a decorative tray, or something to collect belongings from family and friends. All of the tools used can be found on the resources page. 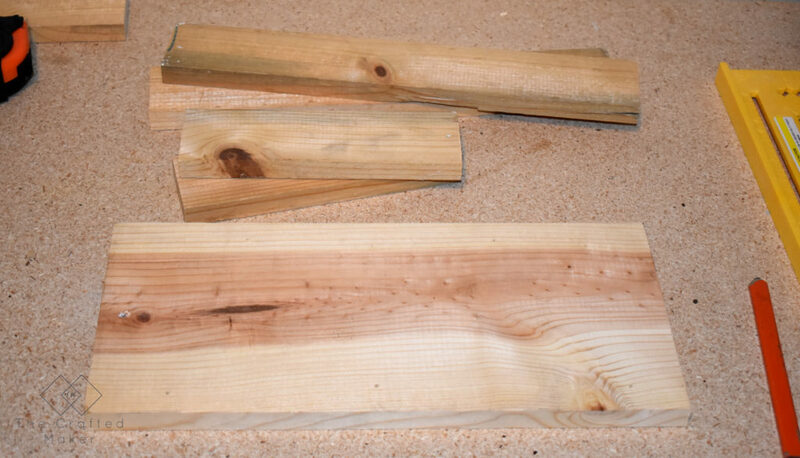 The first step is to cut the wood into the desired measurements. 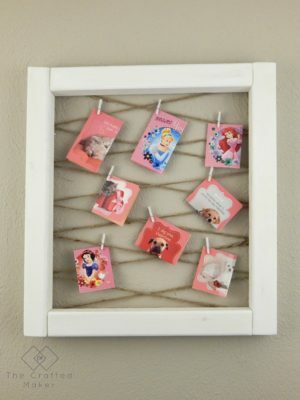 This project is totally customizable and can be any size you want. I started with the longer sides and moved onto the shorter sides. 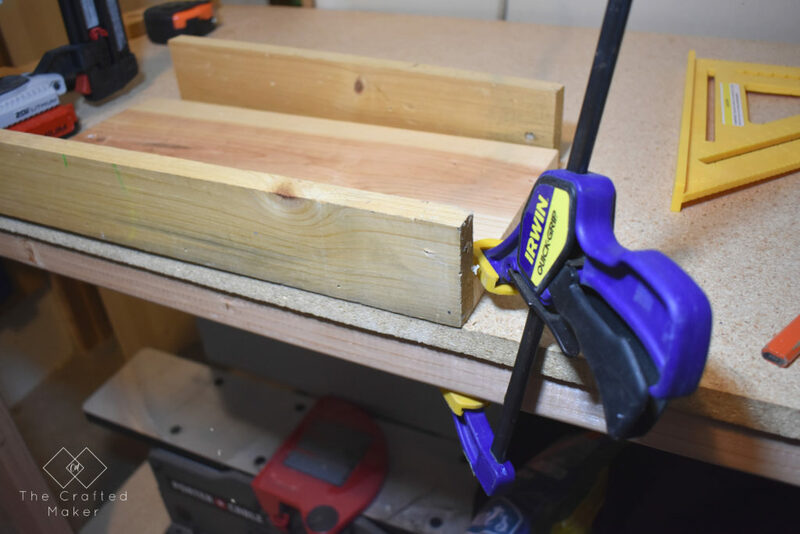 Make sure to hold the project tight when nailing so you won’t have any gaps in your finished wooden tray. 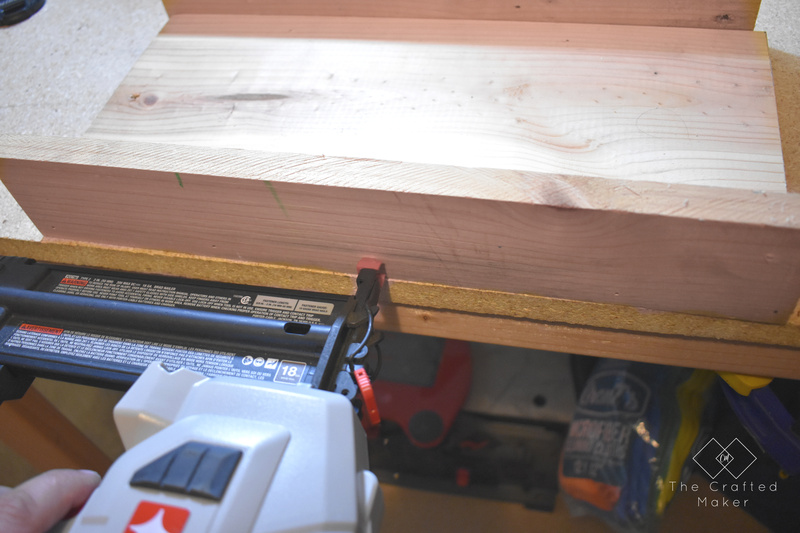 When the tray is fully assembled, it’s time to sand, first with an 80 grip paper and worked my way up to 120 grit. 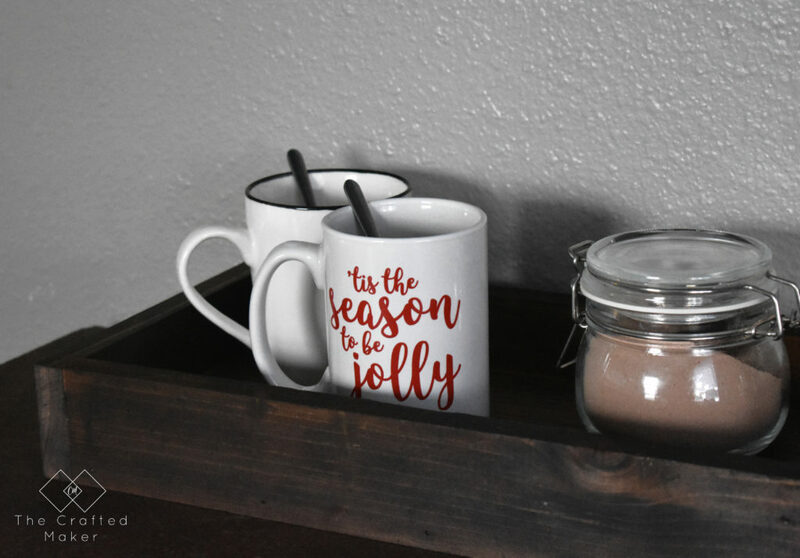 I chose to stain my wooden tray with Kona, applying the stain with a rag and immediately wiping off the excess. 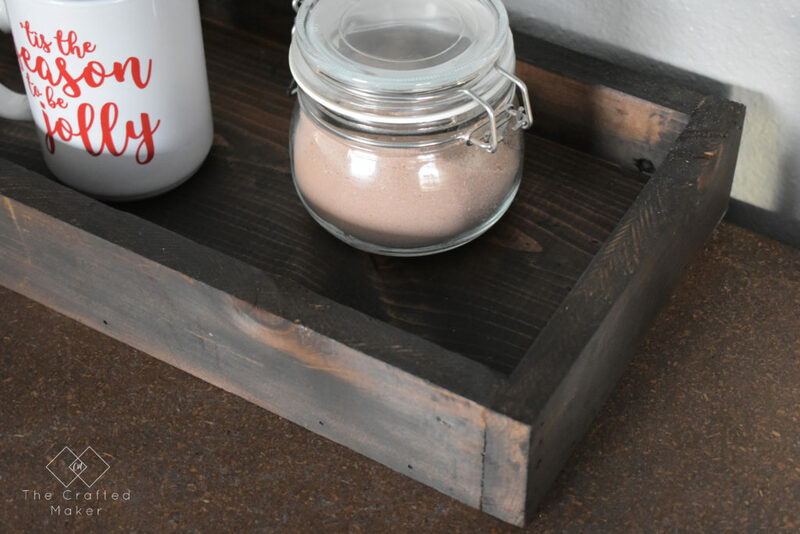 Allow your wooden tray to dry and give it a coat of polyurethane. 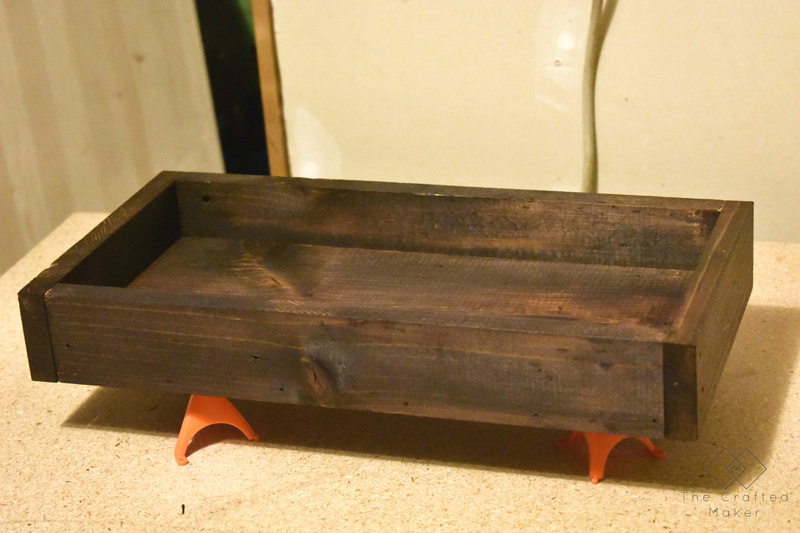 I am using spray poly for this project and applying one coat. If your tray is going to come into contact with anything wet such as cups, give it more coats of poly for added protection. 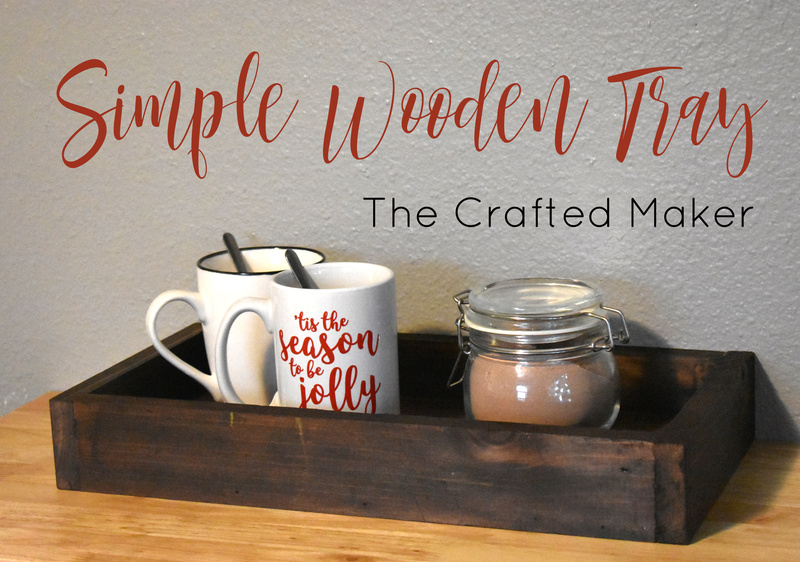 Have fun with this simple wooden tray and make it your own.